Earlier we had reported that the EMBT forum squirrel had gone on vacation. Thankfully he returned, but he left again and this time he has gone missing. 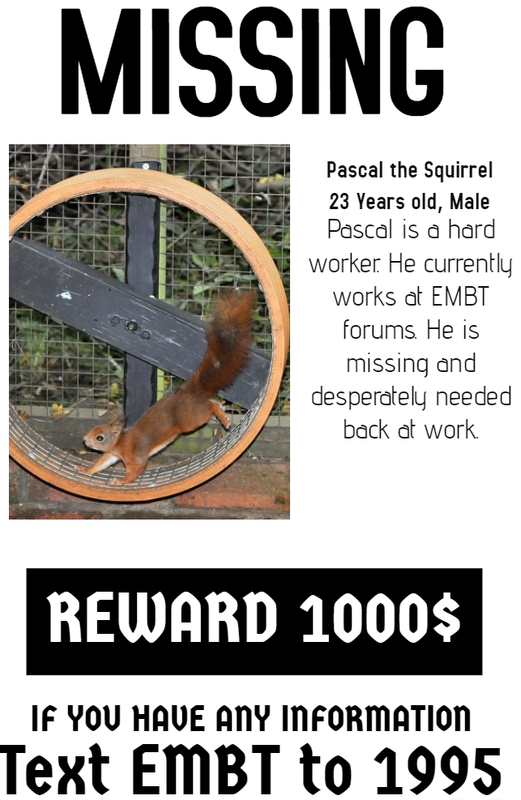 Please assist in locating him so the wheel can spin again and bring back online the EMBT forums. Alongside the Indy and other forums we have made some space for general Delphi. Not much there yet, but start posting, spread the word, and we can build the community back! ⟵IntraWeb 15 – Almost here!